Is the iPhone the Same Thing as Android? If you're considering buying your first smartphone, you've probably heard the words "Android" and "iPhone." You may even have friends and relatives trying to convince you of the virtues of one or the other. But unless you already understand the smartphone market, you probably have questions. For instance, is the iPhone an Android phone? The short answer is no, the iPhone is not an Android phone (or vice versa). While they are both smartphones — that is, phones that can run apps and connect to the Internet, as well as make calls — iPhone and Android are distinct things and they are not compatible with each other. Android and iPhone are separate brands, similar tools that do similar things, but they're not the same. For example, a Ford and a Subaru are both cars, but they're not the same vehicle. A Mac and a PC are both computers and can do most of the same things, but they're not identical. The same is true of iPhone and Android. They're both smartphones and can generally do the same things, but they're not identical. There are four keys areas that differentiate the iPhone and Android phones. The iPhone runs the iOS, which is made by Apple. Android phones run the Android operating system, made by Google. While all OSes do basically the same things, the iPhone and Android OSes aren't the same and aren't compatible. The iOS only runs on Apple devices, while Android runs on Android phones and tablets made by a number of different companies. This means that you can't run iOS on an Android device and can't run the Android OS on iPhone. Another major differentiator between iPhone and Android is the companies that manufacture them. The iPhone is only made by Apple, while Android isn't tied to a single manufacturer. Google develops the Android OS and licenses it to companies that want to sell Android devices, such as Motorola, HTC, and Samsung. Google even makes its own Android phone, called the Google Pixel. Think of Android as being like Windows: the software is made by a single company, but it's sold on hardware from a lot of companies. The iPhone is like the macOS: it's made by Apple and only runs on Apple devices. Which of these options you prefer depends on a lot of things. Many people prefer the iPhone because its hardware and operating system are both made by Apple. This means they'll be more tightly integrated and deliver a polished experience. 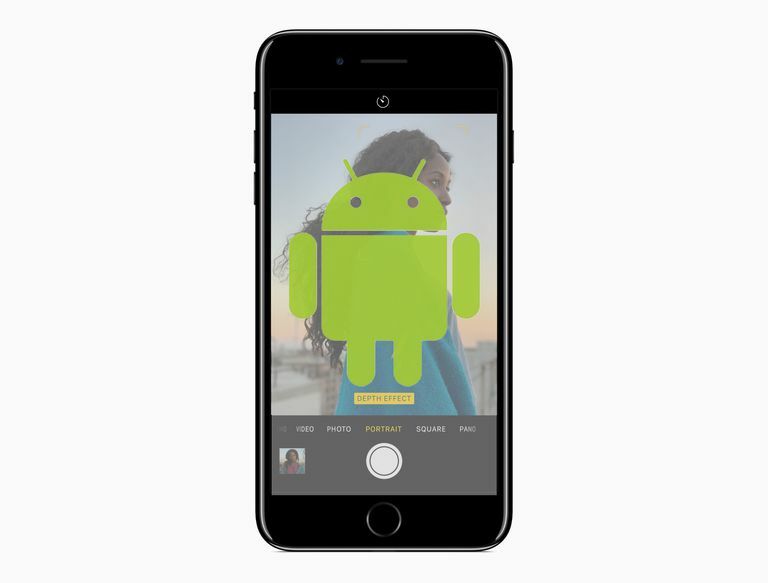 Android fans, on the other hand, prefer the flexibility that comes with an operating system that runs on hardware from many different companies. Need some help deciding whether you should buy iPhone or Android? Check out Is Android or iPhone the Better Smartphone? Both iOS and Android run apps, but their apps are not compatible with each other. The same app may be available for both devices, but you need the version designed for your operating system for it to work. The total number of apps available for Android is higher than for the iPhone, but numbers aren't the most important thing here. According to some reports, tens of thousands apps in Google's app store (called Google Play) are malware, do something other than they say they do, or are low quality copies of other apps. It's also important to know that some useful, high-quality apps only work on the iPhone. Generally speaking, iPhone owners spend more on apps, have higher overall income, and are viewed as more desirable customers by many companies. When developers have to choose between investing the effort, time, and money to create an app for both iPhone and Android, or just iPhone, some choose iPhone only. Having to support hardware from just one manufacturer makes development easier, too. In some cases, developers release iPhone versions of their apps first and then Android versions weeks, months, or even years later. Sometimes they don't release Android versions at all, but this is less and less common. Can You Get FaceTime For Android? Can You Use Siri on Android or Windows? As smartphones become more and more central to our lives, their security is increasingly important. On this front, the two smartphone platforms are very different. Android is designed to be more interoperable and available on more devices. The downside of this is that its security is weaker. Some studies have found that as much as 97% of the viruses and other malware targeting smartphones attack Android. The amount of malware that attacks iPhone is so small as to be unmeasurable (the other 3% in that study target platforms other than Android and iPhone). Apple's tight control of its platform, and some smart decisions in designing the iOS, make iPhone by far the most secure mobile platform. Can You Get Siri for Android or Windows Phone?